To keep pace with the mortgage application volume and turn time requirements, many lenders chose to outsource certain functions. 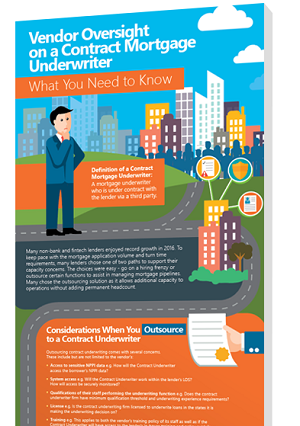 If you've outsourced a contract mortgage underwriter, there are some oversight considerations and tips you need to know. We'll go through them in this infographic.